"A healthy lifestyle promotes a life of confidence and happiness." Sharon is a dynamic individual whose dedication to fitness is contagious. She uses this quality to inspire and motivate people to transform themselves. Having been involved in fitness all her life, from collegiate swimmer to Ironman triathlete, she understands the many benefits of exercise. Sharon has a B.S. degree in Exercise and Sport Science with a minor in Nutrition. 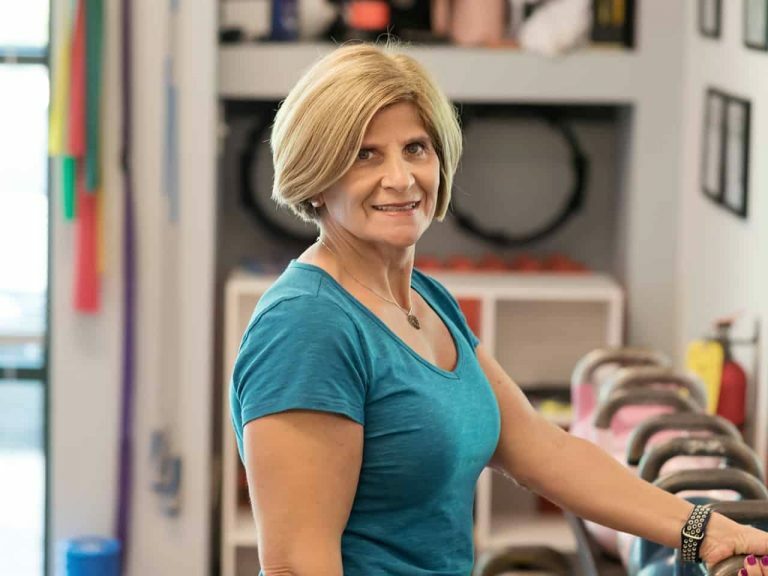 She holds personal and kettlebell training certifications and has trained in the Apex / Cary area for 25 years. Since 2010, Sharon has been an owner of Old-School Fitness personal training in Apex, NC. When not training clients, she enjoys swimming in a Master’s program, paddle boarding, cycling and playing with her 2 dogs, Oaklee and Jax. Rick has been a personal trainer in the Apex / Cary area for 15 years. He received his first personal and kettlebell training certifications in 2003. Since then, he has helped his clients surpass their imagined physical and mental limits. They have achieved fitness goals they didn’t think possible, challenging their minds, muscles and cardiovascular systems. Years of training have provided him with experience working with people with various goals, abilities and fitness levels. 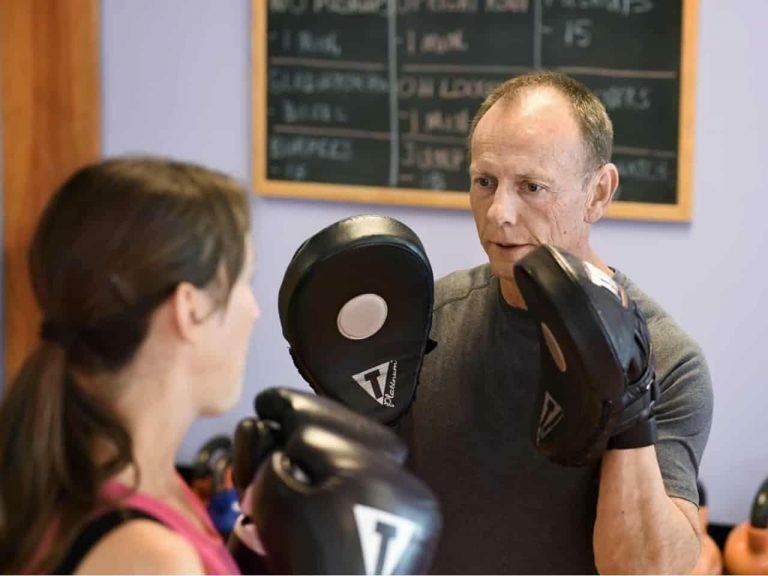 Since 2010, Rick has been an owner of Old-School Fitness personal training in Apex, NC. In his off time, he enjoys cycling, paddle boarding and playing with his 2 dogs, Oaklee and Jax. "I'm passionate about helping people achieve great quality of life through fitness." At Old-School Fitness, we take personal training to a whole new level. Our 1,000-sq-ft private training studio is roomy enough for all types of workouts, yet intimate enough to enjoy privacy and comfort where the sole focus is you. While our atmosphere is casual and comfortable, our workouts are designed for those serious about investing in their fitness. And we’re serious about helping you obtain optimum results. As a husband and wife team, we've been helping Apex and Cary residents reach their fitness goals for the past 10 years. We serve as instructors, motivators and cheerleaders, whose main aim is to help you look better, feel better and achieve your fitness goals. As a husband and wife team, we've been helping Apex and Cary residents reach their fitness goals for the past 10 years..
Our 1,000-sq-ft private training studio is roomy enough for all types of workouts, yet intimate enough to enjoy privacy and comfort where the sole focus is you. While our atmosphere is casual and comfortable, our workouts are designed for those serious about investing in their fitness. And we’re serious about helping you obtain optimum results.